My, how times have changed! If you turned on a computer, radio or TV yesterday, you heard the news: Prince William and his girlfriend Kate Middleton announced their engagement. I haven't paid much attention to their relationship. It's none of my business. But today I looked Kate up in the good ole Wikipedia and Lady Catherine de Bourgh would have been scandalized. Her family- tradesmen! Millionaires but still. Lady Catherine would have had a fit and believed Kate somehow tricked William into marrying her. Oh my, what is to become of the royal family! Then I wondered what the reaction of other Jane Austen characters would be. Lydia immediately stalks Prince Harry. If Kate can snag a prince, so can she! Kitty cries at any mention of Lydia going to the wedding without her. Mary declares that William and Kate should remain single. It's only logical. Jane smiles to herself and imagines William and Kate happily ever after. Mrs Bennet studies the royal family tree looking for bachelors for her daughters. Especially Jane. 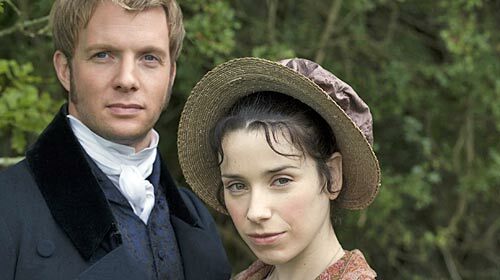 She's too pretty for mere Mr Bingley. She never did like that guy. Mr Bennet looks up from his book and says, "Prince who?" Elizabeth vows to keep her family as far from the royal family as possible. Lydia has competition. Emma plans ways to throw Harriet Smith in the path of Prince Harry. They are sure to fall in love. Mr Knightley tells Emma to mind her own business. Typical. Mr Woodhouse worries about the wedding cake and writes a firmly worded letter to the Queen about the dangers of sugar and fat. Miss Bates lists all of Kate's accomplishments ad nauseum. Catherine is sure William has an insane wife locked in a castle on the moors somewhere. Isabella Thorpe thinks of ways to make Kate her new BFF so she can meet Prince Harry. Fanny Price listens to what her betters have to say before forming her own opinion. The other young people put on a play called William and Kate's Romance, reenacting the couple's love affair. It's put on YouTube and Mary Crawford leaves the area in shame. Marianne works herself up into a fever thinking of how romantic it all is. She has to be hospitalized. 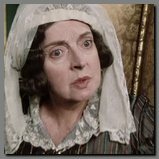 Elinor worries about the cost of new bonnets and accommodations if they attend the wedding. John Willoughby runs out of town when he hears a rumour that Kate's sister might be single. Sir Walter orders ten new suits for all the parties he's sure to be invited to. All the right people will be there. Mary Musgrove gets the vapours. Anne waits patiently for someone to tell her what is going on. Later, Captain Wentworth, Anne and friends go to Lyme Regis to celebrate. Louisa hits her head but no one notices because Prince Harry invites them out drinking for the night. Then Anne and Harry elope! That's how I think they'd react anyway. Love this post! As a huge fan of Jane Austen I completely agree with your guesses...Poor Kate. She doesn't stand a chance with all these other women in the ring! The best write up on the royal wedding I have come across, despite my best efforts to avoid the names "William" and "Kate" for he past 24 hours. *giggles* I love this post, too funny! How clever! I've only read P&P and Emma but I agree with your impressions of the characters' reactions. Jennifer- Austen ladies are a handful. Em- Until the wedding, that is all we're going to hear.